This picture of a man posing on top of a car driven on its side wheels almost seems unreal, but this mind-blowing stunt is indeed the latest driving craze hitting youths in Saudi Arabia. 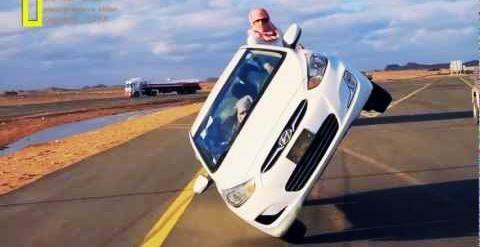 According to an article in Oddity Central, it’s called ‘sidewall skiing’ and involves driving a car on its side wheels at high speed with passengers in the car performing all kinds of tricks like standing on top of the car, or even changing tyres at high speed. 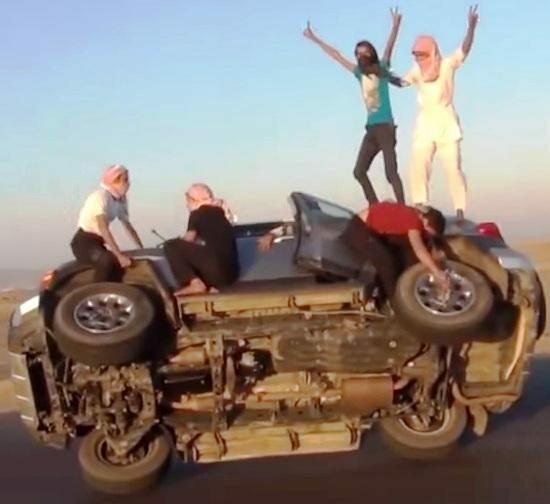 These dangerous stunts were apparently popularized by action films like “The Dukes of Hazzard” or “Diamonds Are Forever”, and was recently featured in rapper M.I.A.’s “Bad Girls” video. 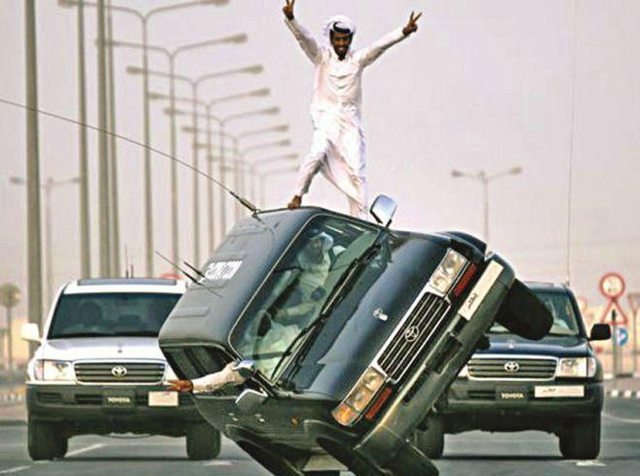 When Arabian youths attempt sidewalk skiing, the visual spectacle of it attracts crowds of young spectators who sit on the side of the road cheering them on. Some even participate and allow vehicles to pass over them at high speeds. 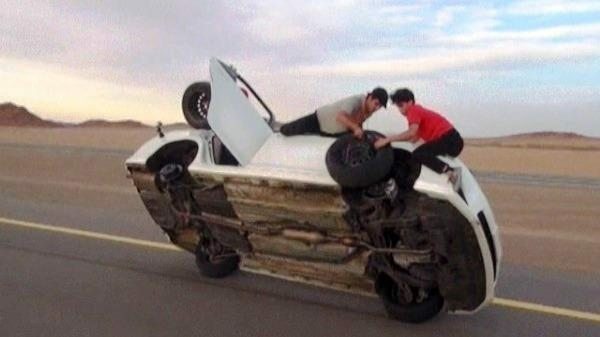 Drivers typically use a ramp to tilt their cars on two wheels, then rely on their maneuvering skills to keep it from flipping over and potentially killing their balancing passengers. 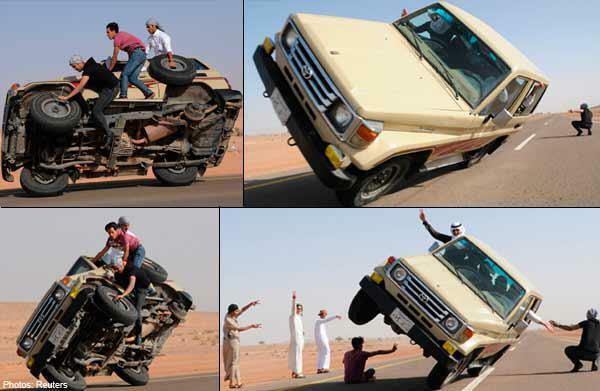 Somehow, saying this sport is extremely dangerous seems like a huge understatement.